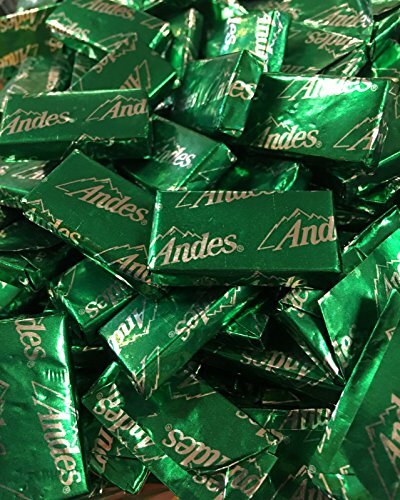 As the number one after-dinner mint, Andes Crème de Menthe delivers a smooth blend of mint and chocolate flavors-the perfect post-meal treat. The iconic, rectangular three-layered candy' green mint sandwiched between two thin cocoa-based layers' became instantly popular after its 1950 launch, and it has remained an American favorite ever since. The individually foil-wrapped, bite-sized pieces enhance any social gathering or event, yet remain equally popular as self-indulgent treats. Approx 270pcs. If you have any questions about this product by Assorted Candy, contact us by completing and submitting the form below. If you are looking for a specif part number, please include it with your message.